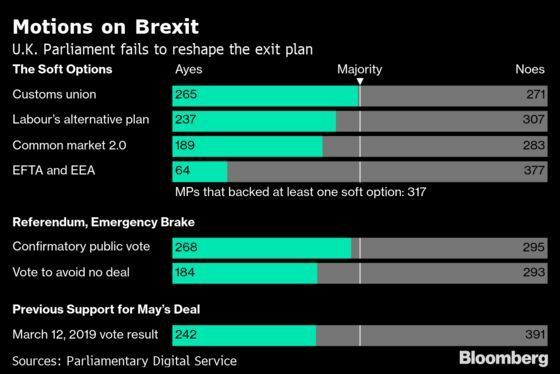 (Bloomberg) -- Britain is edging closer to a general election after Parliament rejected Theresa May’s Brexit deal for a third time, deepening the political crisis that has overtaken the country’s bitter divorce from the European Union. Speaking after the result of the vote was announced Friday afternoon, the prime minister gave a veiled warning that an election could be necessary to end the stalemate in the House of Commons, which has failed to back a Brexit plan after months of trying. “I fear we are reaching the limits of this process in this House,” May told lawmakers following the defeat by 344 votes to 286. The pound weakened, heading for its worst month since October against the dollar. 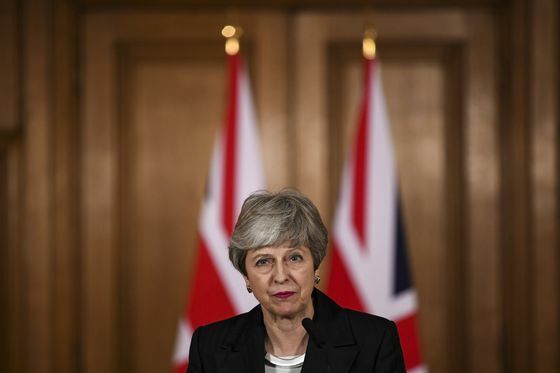 May said the defeat of her strategy had “grave” implications for the country, while the European Commission said an economically damaging no-deal split is now “a likely scenario.” EU leaders will meet for an emergency summit on April 10 to seek a way forward. May has previously said an election is the last thing the country wants. Her spokesman would not go that far on Friday, insisting only that a national vote is not in Britain’s best interests. Privately, officials accept that an election could be necessary, even though May has no appetite for one. May’s government will now step back while Parliament tries to work out a way forward without her next week. On Monday, lawmakers will have a chance to choose their own preferences in a series of votes on Plan B options. Those are likely to include a full customs union with the European Union and another referendum to approve the final deal. The hope is that this process of narrowing down the options can produce a blueprint that Parliament will support. May’s team suggested she would try to accommodate the result of these so-called indicative votes. Ultimately, there could be a runoff between May’s proposal and the next most popular option. But time is short. The government will be talking to the EU about the terms of another extension to the Brexit deadline. May’s officials aim to put her deal to a fourth vote in Parliament in the days ahead. The prime minister received a letter late Friday signed by 170 Conservatives in the House of Commons -- a majority -- urging her to stick with the April 12 departure date, according to the Sun, which said 11 members of her cabinet were part of the group. The prime minister wants to avoid taking part in European elections May 23 -- the condition for any extension beyond that date. An EU diplomat said the bloc is also increasingly reluctant to consider a long extension because of the disruption it could cause to European affairs. If May asks for a short delay, the group would consider it, but only if the way ahead was clear and there were guarantees that Parliament backed the plan, an EU diplomat said. The margin of May’s defeat this time, 58 votes, was much narrower than the 230-vote loss she suffered in January. May had offered to quit as prime minister in a bid to get the deal over the line. Leading pro-Brexit members of her Conservative Party, including Boris Johnson, Jacob Rees-Mogg and Dominic Raab all dropped their opposition to May’s proposal and voted for it on Friday. 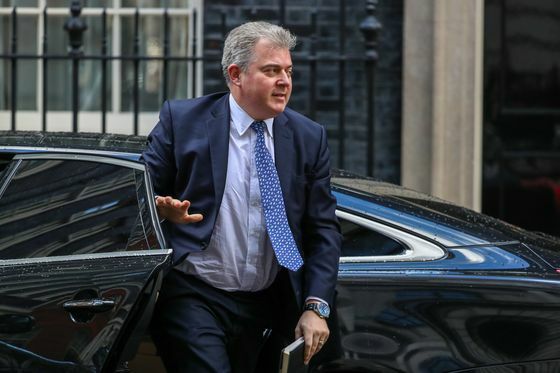 Despite relentless lobbying from cabinet ministers, aides and May herself, the push was not enough to win over enough critics, or Northern Ireland’s Democratic Unionist Party, which supports her minority government. Without changes to the withdrawal agreement -- which the EU says can’t be reopened -- there seems little prospect the DUP will be swayed. The party says the deal threatens to split Northern Ireland away from mainland Britain. “I would stay in the European Union and remain rather than risk Northern Ireland’s position” in the U.K., the party’s Westminster leader, Nigel Dodds, told the BBC. "That’s how strongly I feel." If all May’s efforts ultimately fail, she knows she might have to hand the problem to voters. An election would be fraught with risk for the British premier. In 2017, she called a snap election in the hope of increasing her small majority amid predictions of a landslide victory. Instead, she fought a disastrous campaign, lost her majority entirely and has been struggling ever since to get her Brexit policies through the House of Commons.